This is a 1892 ad for a Franco-American Soup and Royal Plum Pudding! The size of the ad is approximately 6.5x9.5inches. 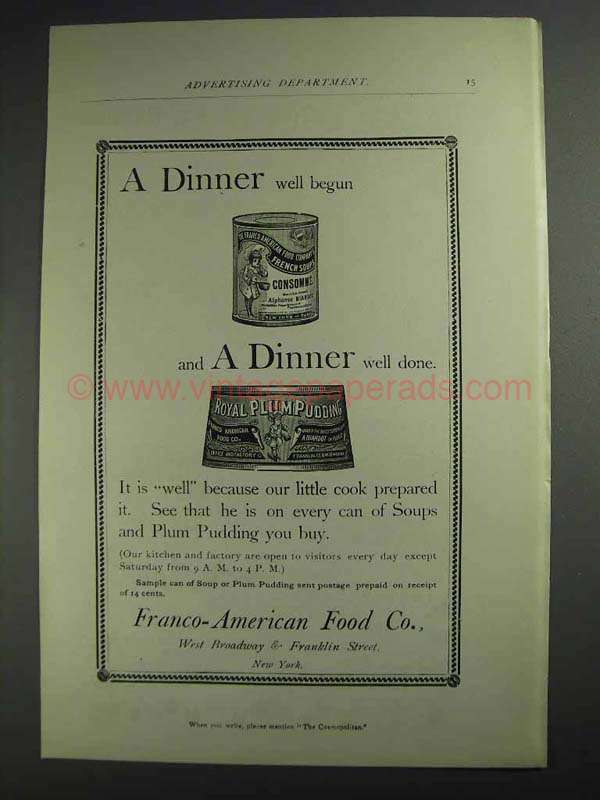 The caption for this ad is 'A dinner well begun and a Dinner well done' The ad is in great condition. This vintage ad would look great framed and displayed! Add it to your collection today! 1949 Oxo Fray Bentos Soups Ad - Fray Bentos quality soups they cost no more!